Authors who made history – any takers? I wasn’t sure if anyone might pop along with something for today and as I posted last week, I decided to leave that space here. I finally got around to tidying up one of my posts from January, in continuation of my intended series to practise introducing and exploring contemporary writers. This post, at my blog, is a brief introduction to John Berger ; he’s perhaps best-known for his book, ‘Ways of Seeing’ and for its inclusion as compulsory reading on almost all art and design study reading lists in the UK. Today marks the birth anniversary of the writer known as Sax Rohmer. You might be familiar with the characters he created in his Dr. Fu Manchu stories. These have inspired comic book stories, radio, film and television works. He was born Arthur Henry Ward in Birmingham, England on 15th February 1883, of a working-class family of Irish immigrant descendency. He died during an outbreak of ‘Asian flu’ on 1st June 1959. He and his wife moved to New York after the ending of what some call ‘World War 2’ and didn’t return to London until shortly before his death. He is reported to have died in New York. As often the apparent case, the wikipedia article for this writer contains some potentially derogatorising slants that may or may not be true. Formalist academia tends to perpetuate a propoganda wheel, perhaps unintentionally, effectively undermining a writer’s work by defamating remark / character assassination. These include criticisms of ‘racism’, though as I have not yet read any of his writing so I can neither confirm nor repudiate such assessment. It is also remarked that his name was added to the Nazi regimes list of banned authors in 1933. (It appears not to be found on the wikipedia link to that article). Arthur Henry Ward had worked for a time as a civil servant prior to his career as a popular novelist. His legend divulges roots in the music hall tradition, comedy and poetry. He was first published by the magazine ‘Pearson’s Weekly’ in 1903 with his short story ‘The Mysterious Mummy’. He is said to have published anonymously in 1910 a novel titled ‘Pause!’ and the Goodreads website lists him as also having used the pseudonym of ‘Michael Furey’ alrhough that appears to be dubious and I haven’t time for fact-checking. I’m sharing with you a brief introduction to this writer while I explore him for the first time – one of the things I’ve enjoyed most taking part in these #authorstory posts is setting out on a learning journey of discovery and exploration. Paul Harley occupied a unique place in the maelstrom of vice and ambition which is sometimes called London life. Whilst at present he held no official post, some of the most momentous problems of British policy during the past five years, problems imperilling inter-state relationships and not infrequently threatening a renewal of the world war, had owed their solution to the peculiar genius of this man. Nyctanthes arbor-tristis (Night-flowering Jasmine) is called Parijat (pronounced paa-ri-jaat) in Nepali. Parijat is small white flower with orange pedicel and sweet fragrance. The plant, however is also known as “sad tree” because the flowers bloom during the night and wither during the day. Bishnu Kumari Waiba (1937-1993) chose to call herself Parijat in Nepali literature and enriched it with a sweet fragrance. Parijat was born in Darjeeling, India. Her mother, Amrit Moktan died when she was still very young and was raised by her father, Dr. K. N. Waiba and her grandparents. Although Darjeeling lies in India, the people have retained the original culture and literature from Nepal. Growing up with Nepali speaking community, she developed keen interest in Nepali literature from her early childhood. When her poems were being published and she was gradually being recognized in Nepali literature, she was also suffering physically. From the age of 12, she suffered from rheumatism which paralyzed her legs completely at the age of 26. This was perhaps the reason behind choosing the pseudonym Parijat. She spent the rest of her life under the care of her sister Sukanya serving Nepali literature as much as she could. Although Parijat published a lot of poems and stories, she is more popular as a novelist. In fact, she is the best recognized female novelist till date. In the year 2022 B.S. (1965 A.D.) she was awarded the Madan Puraskar, the topmost and the most prestigious in Nepali literature, for her novel Shirish ko Phool (later translated as “The Blue Mimosa”). The novel is based on sexual psychology and the character Sakambari is metaphorically described as the blue mimosa, the flower which withers once an insect comes to take away its nectar. The novel is also said to be a part of the syllabus in the Maryland University of the USA. Despite her physical inabilities, Parijat kept on serving the Nepali literature. Her life and works are inspiration to all. Apologies all for errors due to apparent dyscalculia during current health phase! They say a pen is mightier than a sword. It has been proved time and again. I say a man who can use a pen as skillfully as a sword is invincible. Well, this person was truly invincible, never defeated in battle and a gifted writer. 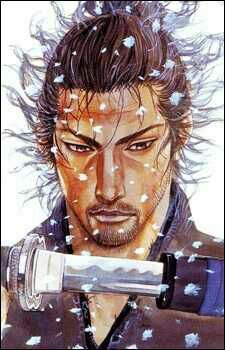 Ladies and gentlemen, presenting, the warrior who’s also a writer or a warrior who’s an author, Miyamoto Musashi. Also known as Miyamoto Bennosuke, Miyamoto was a swordsman who was undefeated in sixty duels and was an expert in double bladed swordsmanship. He founded Niten-Ryu style of swordsmanship. Musashi, in his final years wrote The Book Of Five Rings, a work on strategies, tactics and philosophy which is still being studied today. Moving on to his early life, not much is known about the province he was born in but he himself has stated in his book that he was born in Harima Province. An early biography of his tells us that he was born in the year 1584. His father was Munisai and Miyamoto’s childhood name was Bennosuke (cute name!). Musashi was the son of Munisai’s first wife, Yoshiko, whom he divored soon after Musashi was born. Yoshiko left Musashi with his father and decamped for her father’s house. Omasa, Munisai’s second wife then became Musashi’s mother. Musashi, when seven years old,was raised by his uncle Dornibo in Shoreian Temple where he was educated in Budhism and taught reading and writing. Munisai trained him in sword and their family art of Jutte. An eczema Musashi contracted during his infancy adversely affected his appearance. It is said that he may have studied at the Yoshioka-ryu school, which was also said to be the school Musashi defeated single-handedly during his later years, although this is very uncertain. He did have formal training either by his father until he was 7 years old or from his uncle beginning at the age of 7. Ultimately the name was taken from his own original kanji characters, which can be read as Takezo or as Musashi, as stated in Eiji Yoshikawa’s book Musashi. By the age of 15, he began travelling and duelling from the Tajima Province.In 1600, a war broke out between the Toyotomi and Tokugawa clans. Musashi apparently fought on the side of the Toyotomi’s “Army of the West”, as the Shinmen clan (to whom his family owed allegiance) had allied with them. Specifically, he participated in the attempt to take Fushimi castle by assault in July 1600, in the defense of the besieged Gifu Castle in August of the same year, and finally in the Battle of Sekigahara. Some doubt has been cast on this final battle, as the Hyoho senshi denki has Musashi saying he is “no lord’s vassal” and refusing to fight with his father (in Lord Ukita’s battalion) in the battle. Omitting the Battle of Sekigahara from the list of Musashi’s battles would seem to contradict the The Book of Five Rings’s statement that Musashi fought in six battles, however. Regardless, as the Toyotomi side lost, it has been suggested that Musashi fled as well and spent some time training on Mount Hiko. Miyamoto disappeares from the records for a while after this battleThe next mention of him has him arriving in Kyoto at the age of 20, where he began a series of duels against the Yoshioka School. The last three of which were based on combat strategies. I have trained in the way of strategy since my youth, and at the age of thirteen I fought a duel for the first time. My opponent was called Arima Kihei, a sword adept of the Shinto ryū, and I defeated him. At the age of sixteen I defeated a powerful adept by the name of Akiyama, who came from Tajima Province. At the age of twenty-one I went up to Kyōtō and fought duels with several adepts of the sword from famous schools, but I never lost.